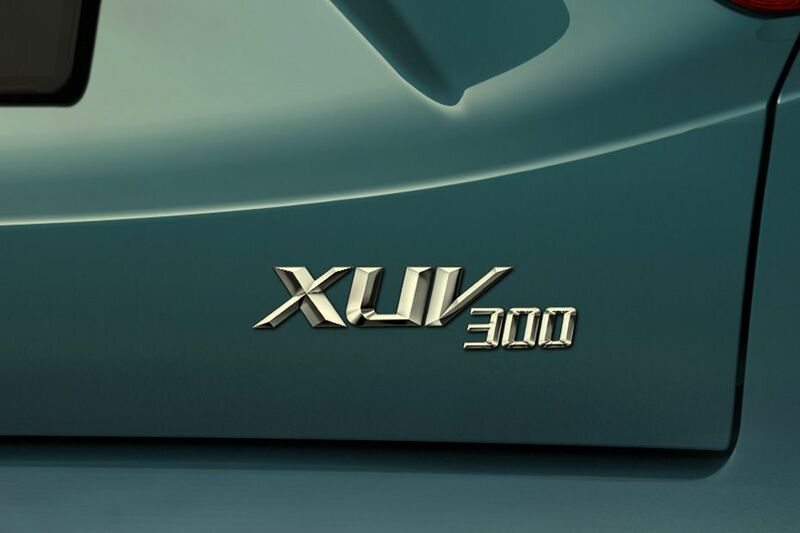 The variant-wise features list of the new Mahindra XUV300 has been leaked ahead of its official debut, which is scheduled to happen on 14 Feb 2019. Available in four different variants, the upcoming Mahindra SUV gets a number of segment-first features like dual-zone climate control, front parking sensors, seven airbags and more. Talking about the variants and respective features, the base W4 variant comes with body-coloured bumpers, ORVMs and door handles. While on the inside, it gets fabric upholstery, segment’s first multi-mode steering, power adjustable ORVMs, and electric tailgate release. Additionally, it gets a 2-DIN audio system with four speakers for satisfying your entertainment needs. On the safety front, it gets dual front airbags, ISOFIX child anchor seats and ABS with EBD. The higher-grade W6 variant gets silver-coloured upper and lower grille at the front. Further, it gets wheel caps, door cladding, rear spoiler and roof rails. It also benefits from keyless entry/exit along with controls-mounted steering wheel. Moving higher up the variant table, the W8 variant gets projector headlamps with LED daytime running lights, silver-garnished front, and rear skid plates, body-coloured ORVMs with turn signals and 17-inch alloys. 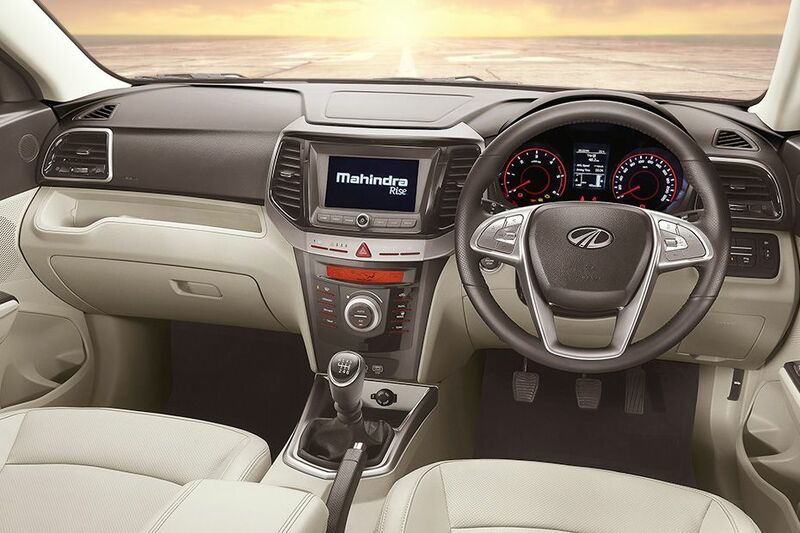 Inside, the XUV300 W8 gets a leather-wrapped steering wheel with a similar gear knob but fabric upholstery. The list of features includes cruise control, dual-zone auto climate control, power adjustable ORVMs and six-way adjustable driver seat. Not just this, there are more features like auto headlamps, rain sensing wipers, ambient lighting, heated ORVMs, push-button start and rear parking camera with guidelines. Taking care of your entertainment needs is the new 7-inch infotainment system with touchscreen and Android Auto and Apple CarPlay support. Aside from the standard safety equipment, it gets rear parking sensors, ESP and hill hold control. Lastly, the top-of-the-line model W8 (O) gets dual-tone roof rails, a sunroof and 17-inch sparkling diamond cut alloy wheels. Inside, leatherette is used as upholstery and there is an auto-dimming IRVM for the driver to be at comfort while driving. The safety pack on this variant includes segment’s first front parking sensors. Also, there are additional airbags (driver knee, curtain, and side) for added safety. Mahindra has also blessed it with Tyre Pressure Monitoring System (TMPS). 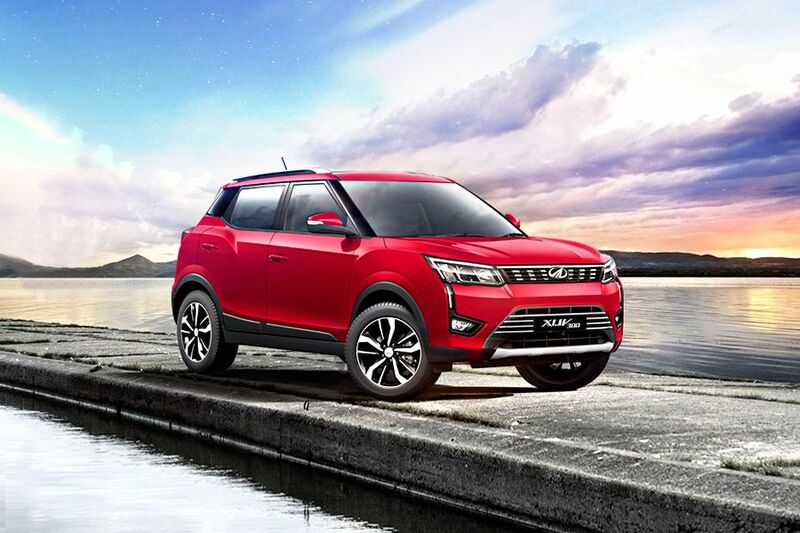 Apart from the details mentioned above, the Mahindra XUV300 will be offered in six colour choices, including black, white, blue, red, silver, and orange. It will come with both, petrol as well as diesel engines, mated to a 6-speed manual transmission only. It also sports the best-in-class wheelbase. Hence expect it to be more spacious offering more comfort than others in the segment. The company is currently accepting pre-launch bookings of XUV300 for a token amount of Rs 20,000. The Mahindra XUV300 is expected to be priced in the range of Rs 8 lakh to 12 lakh (ex-showroom).